Sigelei Fuchai V3 Kit, a brand new product, is mainly designed for beginners and novice vapers who want to have an intense and comfortable vaping experience as well as a compact and lightweight device. Measuring 106.2mm x 18.0mm x 9.1mm, Sigelei Fuchai V3 Kit indeed attracts so many people’s attention. Made of PC material, The durable atomizer is integrated into Sigelei Fuchai V3 Kit and can also accommodate 1.5ml e-juice capacity with two cartridge flavors(fusion tobacco and lemon grapefruit tea). Moreover, you can only unscrew this tank to fill it with e-juice, or you can buy a new cartridge. In order to offer an intense, pure and comfortable vaping experience, the kit uses 2.1ohm coil head to cooperate with this tank. Sigelei Fuchai V3 Kit is powered by built-in 400mAh battery. This battery can allow you to use this small device throughout the day. You only connect your pod to any devices such as a computer, laptop via USB Cable (included in the package) without replacing batteries. One of the most amazing features of this kit is the bottom-fill-e-juice system. You simply unscrew the bottom cap of this tank and fill e-juice into it directly, swiftly and effortlessly. 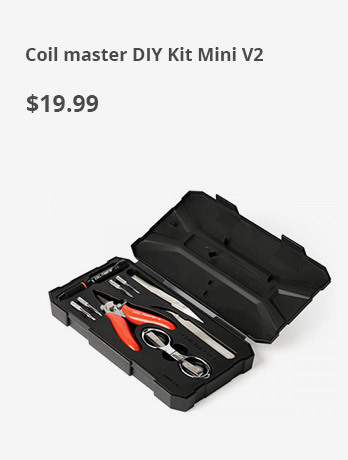 The best part of this kit is that it has no any buttons, which liberates users from various settings, such as wattage, temperature, resistance, or the like. More importantly, Sigelei Fuchai V3 Kit can assist smokers in quitting smoking, so the device is a perfect choice.